АРТИСТЫ WARNER MUSIC / R.E.M. It did take R.E.M. several years to break into the top of the charts, but they gained a cult following after the release of their debut EP, Chronic Town, in 1982. Chronic Town established the haunting folk and garage rock that became the band's signature sound, and over the next five years, they continued to expand their music with a series of critically acclaimed albums. By the late '80s, the group's fan base had grown large enough to guarantee strong sales, but the Top Ten success in 1987 of Document and "The One I Love" was unexpected, especially since R.E.M. had only altered their sound slightly. Following Document, R.E.M. slowly became one of the world's most popular bands. After an exhaustive international tour supporting 1988's Green, the band retired from touring for six years and retreated into the studio to produce their most popular records, Out of Time (1991) and Automatic for the People (1992). By the time they returned to performing with the Monster tour in 1995, the band had been acknowledged by critics and musicians as one of the forefathers of the thriving alternative rock movement, and they were rewarded with the most lucrative tour of their career. 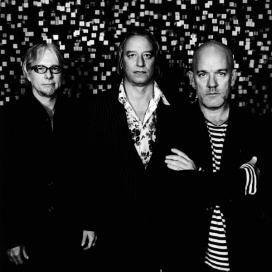 Toward the late '90s, R.E.M. was an institution, as its influence was felt in new generations of bands. Though R.E.M. formed in Athens, Georgia, in 1980, Mike Mills (born December 17, 1958) and Bill Berry (born July 31, 1958) were the only Southerners in the group. Both had attended high school together in Macon, playing in a number of bands during their teens. Michael Stipe (born January 4, 1960) was a military brat, moving throughout the country during his childhood. By his teens, he had discovered punk rock through Patti Smith, Television, and Wire, and began playing in cover bands in St. Louis. By 1978, he had begun studying art at the University of Georgia in Athens, where he began frequenting the Wuxtry record store. Peter Buck (born December 6, 1956), a native of California, was a clerk at Wuxtry. Buck had been a fanatical record collector, consuming everything from classic rock to punk and free jazz, and was just beginning to learn how to play guitar. Discovering they had similar tastes, Buck and Stipe began working together, eventually meeting Berry and Mills through a mutual friend. In April of 1980, the band formed to play a party for their friend, rehearsing a number of garage, psychedelic bubblegum, and punk covers in an converted Episcopalian church. At the time, the group was played under the name the Twisted Kites. By the summer, the band had settled on the name R.E.M. after flipping randomly through the dictionary, and had met Jefferson Holt, who became their manager after witnessing the group's first out-of-state concert in North Carolina. Over the next year and a half, R.E.M. toured throughout the South, playing a variety of garage rock covers and folk-rock originals. At the time, the band was still learning how to play, as Buck began to develop his distinctive, arpeggiated jangle and Stipe ironed out his cryptic lyrics. During the summer of 1981, R.E.M. recorded their first single, "Radio Free Europe," at Mitch Easter's Drive-In Studios. Released on the local indie label Hib-Tone, "Radio Free Europe" was pressed in a run of only 1,000 copies, but most of the those singles fell into the right hands. Due to strong word of mouth, the single became a hit on college radio and topped the Village Voice's year-end poll of Best Independent Singles. The single also earned the attention of larger independent labels, and by the beginning of 1982, the band had signed to I.R.S. Records, releasing the EP Chronic Town in the spring. Like the single, Chronic Town was well received, paving the way for the group's full-length debut album, 1983's Murmur. With its subdued, haunting atmosphere and understated production, Murmur was noticeably different than Chronic Town and was welcomed with enthusiastic reviews upon its spring release; Rolling Stone named it the best album of 1983, beating out Michael Jackson's Thriller and the Police's Synchronicity. Murmur also expanded the group's cult significantly, breaking into the American Top 40. R.E.M. returned to a rougher-edged sound on 1984's Reckoning, which featured the college hit "So. Central Rain (I'm Sorry)." By the time the band hit the road to support Reckoning, they had become well known in the American underground for their constant touring, aversion to videos, support of college radio, Stipe's mumbled vocals and detached stage presence, Buck's ringing guitar, and their purposely enigmatic artwork. Bands that imitated these very things ran rampant throughout the American underground, and R.E.M. threw their support toward these bands, having them open at shows and mentioning them in interviews. 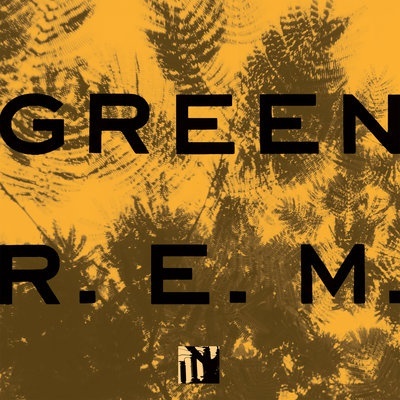 By 1985, the American underground was awash with R.E.M.soundalikess and bands like Game Theory and the Rain Parade, which shared similar aesthetics and sounds. R.E.M. had laid the groundwork for mainstream success, but they had never explicitly courted widespread success. Nevertheless, their audience had grown quite large, and it wasn't that surprising that the group's fifth album, Document, became a hit shortly after its fall 1987 release. Produced by Scott Litt -- who would produce all of their records over the course of the next decade -- Document climbed into the U.S. Top Ten and went platinum on the strength of the single "The One I Love," which also went into the Top Ten; it also became their biggest U.K. hit to date, reaching the British Top 40. The following year, the band left I.R.S. Records, signing with Warner Bros. for a reported six million dollars. The first album under the new contract was Green, which was released on election day 1988. Green continued the success of Document, going double platinum and generating the Top Ten single "Stand." R.E.M. supported Green with an exhaustive international tour, in which they played their first stadium dates in the U.S. Though they had graduated to stadiums in America, the group continued to play clubs throughout Europe. The Green tour proved to be draining for the group, and they took an extended rest upon its completion in 1989. During the break, each member pursued side projects, and Hindu Love Gods, an album Buck, Berry, and Mills recorded with Warren Zevon in 1986, was released. R.E.M. reconvened during 1990 to record their seventh album, Out of Time, which was released in the spring of 1991. Entering the U.S. and U.K. charts at number one, Out of Time was a lush pop and folk album, boasting a wider array of sounds than the group's previous efforts; its lead single, "Losing My Religion," became the group's biggest single, reaching number four in the U.S. Since the band was exhausted from the Green tour, they chose to stay off the road. Nevertheless, Out of Time became their biggest album, selling over four million copies in the U.S. and spending two weeks at the top of the charts. R.E.M. released the dark, meditative Automatic for the People in the fall of 1992. Though the group had promised a rock album after the softer textures of Out of Time, Automatic for the People was slow, quiet, and reflective, with many songs being graced by string arrangements by Led Zeppelin bassist John Paul Jones. Like its predecessor, Automatic for the People was a quadruple platinum success, generating the Top 40 hit singles "Drive," "Man on the Moon," and "Everybody Hurts." After piecing together two albums in the studio, R.E.M. decided to return to being a rock band with 1994's Monster. Though the record was conceived as a back-to-basics album, the recording of Monster was difficult and plagued with tension. Nevertheless, the album was a huge hit upon its fall release, entering the U.S. and U.K. charts at number one; furthermore, the album won praise from a number of old-school critics who had been reluctant to praise the band, since they didn't "rock" in conventional terms. Experiencing some of the strongest sales and reviews of their career, R.E.M. began their first tour since Green early in 1995. Two months into the tour, Bill Berry suffered a brain aneurysm while performing; he had surgery immediately and had fully recovered within a month. R.E.M. resumed their tour two months after Berry's aneurysm, but his illness was only the beginning of a series of problems that plagued the Monster tour. Mills had to undergo abdominal surgery to remove an intestinal tumor in July; a month later, Stipe had to have an emergency surgery to remove a hernia. Despite all the problems, the tour was an enormous financial success, and the group recorded the bulk of a new album. Before the record was released in the fall of 1996, R.E.M. parted ways with their long-time manager Jefferson Holt, allegedly due to sexual harassment charges levied against Holt; the group's lawyer, Bertis Downs, assumed managerial duties.